I stopped in the hallway and paused for a moment, realizing how that phrase was so perfect and utterly stupid at the same time. It is perfect because this is not one of the main movies in the ‘Star Wars’ saga. The film makers even bypass the whole scrolling text for the first time in this series history. When Disney bought the property from George Lucas they announced that we would have six consecutive years of ‘Star Wars’ movies to look forward to. A prospect, I have to be honest, I still dread as the idea of these movies just becoming another glorified TV series makes me sick to think about. 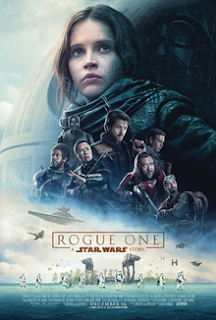 Where this phrase becomes an oxymoron of sorts is in the fact that “Rogue One” is a damn good movie. It may possibly one of the best I’ve seen in this series. And, I don’t know about you, but since I know ‘Star Wars’ is capable of being great, this is EXACTLY the kind of ‘Star Wars’ movie I want! Whether it actually fits into the main storyline is sort of a moot point to me now (although it does). Basically, if it does more than just retread familiar ground like ‘The Force Awakens’ did I’ll consider that a huge improvement. Since most people know this is a story that takes place between Episode III and Episode IV, there may be some hesitation to see a movie where the ending is pretty much known well in advance. To those fans not only am I happy to report that there are some nice surprises, but they actually fix one of the biggest flaws that has been in this series since 1977. 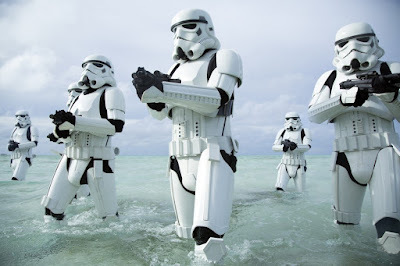 Yes, you heard me: “Rogue One” actually makes “Star Wars Episode IV: A New Hope” a better movie. That takes a special kind of skill in and of itself. Now, this does mean that newcomers to the franchise are at a serious handicap. While it is its own contained storyline, much of the lingo and presentation requires you have some knowledge of what has come before (or is it after in this case?). This won’t be too much of a problem since Death Stars and the whole concept of the Force is pretty common knowledge even for the few who have not seen any of these movies. 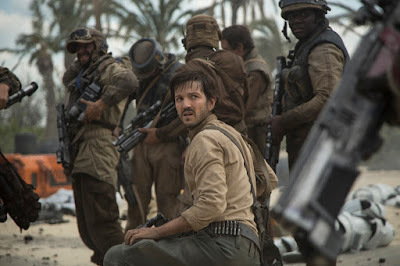 Heck, “Rogue One” even takes the Force a step further by turning it into a religion of sorts, where the teachers of the word optimistically wait for their savor to come and deliver them from evil (sounds familiar). What is refreshing in all of this (and what longtime fans may find surprising) is the complexity of the war itself. This is the only ‘Star Wars’ film I’ve seen where the line between good and evil is so thin. The Empire claims that they are doing everything they are doing to create peace, and for the first time you might actually believe them. For that matter, the Rebels do fight the good fight, but some of them have done so much of it they have lost their ability to tell the difference between a sensible order and just another act of violence. There are no lightsaber battles this time around. The fights all play out with laser guns that resemble a war movie more than a science fiction fantasy. There is even an unusual amount of discussions about trust and whether or not they’ve passed a point where hope is just a mere illusion that can never be obtained. 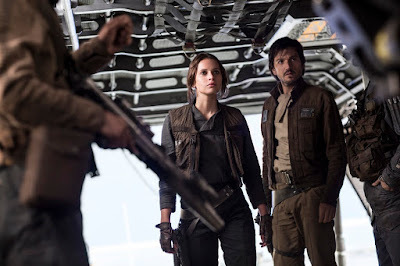 I wondered while I watched why the movie largely fell outside of science fiction convention. I got some big clues during the credits. The film was written by Chris Weitz and Tony Gilroy. 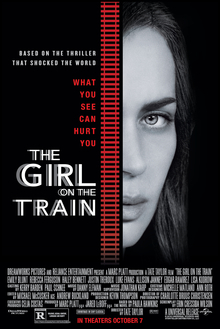 Weitz wrote and directed “About a Boy” and “The Golden Compass,” where Gilroy did the same for “Michael Clayton.” These are good writers and directors who do not have a background in science fiction, so they wrote what they knew. The film was directed by Gareth Edwards, who most recently gave us a reason to take Godzilla seriously again after Roland Emmerich made a laughing stock of the beast with his 1997 *ahem* “film.” This talent is in stark contrast to the people who worked on ‘The Force Awakens,’ who seemed picked because they would make a good ‘Star Wars’ movie. 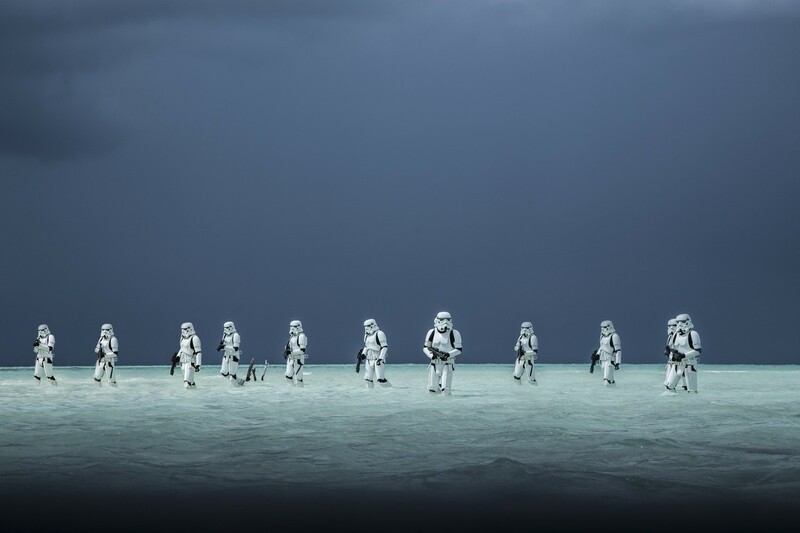 “Rogue One” seems more interested in breaking out of the shackles of the genre, and the result is a movie that can be taken very seriously while still delivering the action fans want. 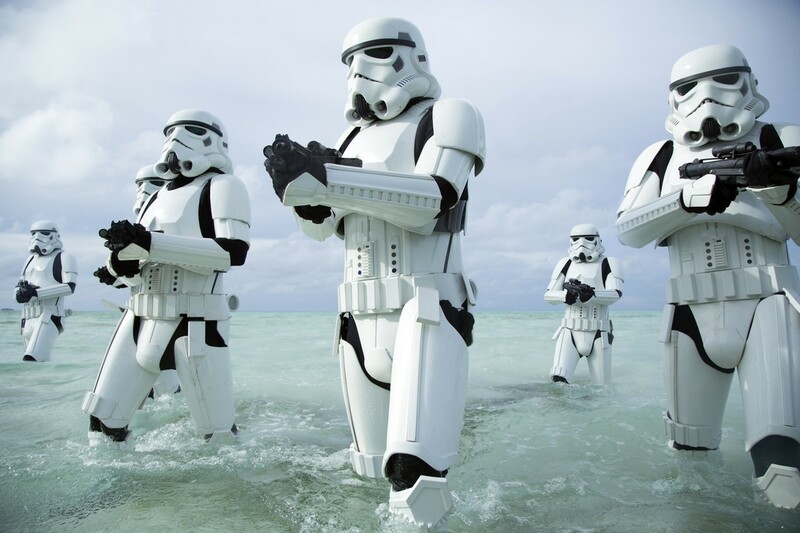 Even though this is clearly not the ‘Star Wars’ movie most people expect, since the movies are going to make a ton of money one way or another it is promising to see the studio take a few chances with them. 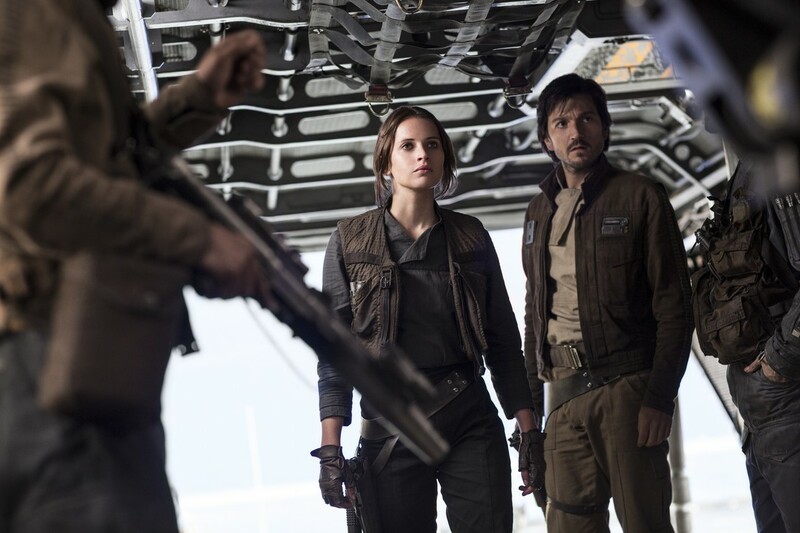 Parents, there is more violence than usual for a 'Star Wars' movie. In fact...dare I say it, this is one you might want to leave the kids home for. There is on screen stabbings, lots of bullit holes, and various explosions. A scene involving Darth Vador is especially disturbing. Recommended for ages 14 and up.